Yes, it's all very cute and charming to created neologisms, but I do think a website devoted primarily to selling the written word could come up with a better name for their choice optimising tool. I had to stifle my laughter so it sort of came out as a snort. 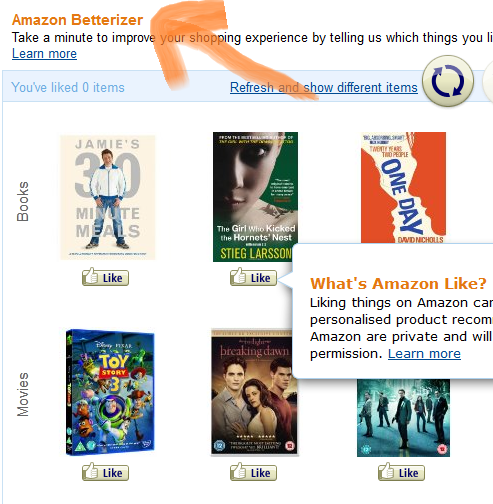 Now I'm going to go to amazon and look at it again, just to get another laugh.